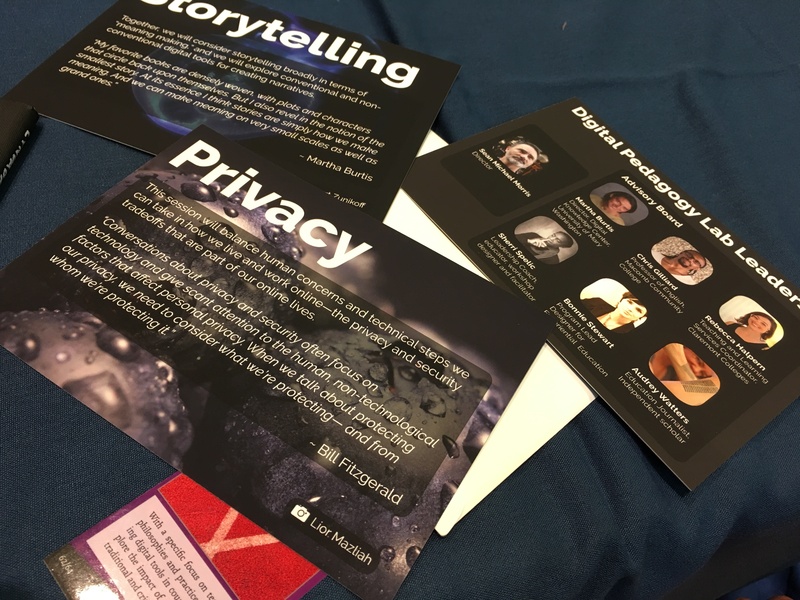 Community-based Digital Storytelling – who speaks and acts? Yes to questions of when *not* to participate in community digital storytelling, what kind of story, to what extent is participation equitable and inclusive? I was pleased to share our #DHSI18 #CritPrax project with Chris Friend (http://www.digitalpedagogylab.com/dhsi2018/) and my Detroit-based pedagogical work with folx at this afternoon’s #DigPed workshop led by Anqi Shen. Looking forward to connecting the dots in this week’s digital storytelling class with Martha Burtis. An Invitation: I’m writing to invite you to participate in my short digital storytelling project today. It will not take more than 2-3 minutes (and up to 5 minutes to provide background and information about the project). Your perspectives and insights will be immensely helpful as I think through this idea. Second, to develop a set of corresponding time-brackets for structuring this introduction around a set of insights from the Digital Pedagogy Lab (DPL) community. What should place-based community-engaged pedagogies be about? What should an archive of community-engaged digital pedagogies be about? I will then work with all seven voice recordings and overlap them to create a crafted and integrated audio file. Together, a public sharing of these reflections and their overlaps, I hope, will inspire further discussion and thought around what it means to listen with care and listen carefully in community-based learning. Preservation and Access: The individual as well as the integrated audio file will be saved on MBox, which is a cloud storage and collaboration service at the University of Michigan (U-M). The MBox folder can be shared with collaborators both inside and outside U-M. All participants will have access to this folder. Furthermore, as a participant, you will have the option to self-disclose your identities when participating. All recordings will take place in the UMW Hurley Convergence Center Vocal Booth or related space of your preference. (Image: Digital Pedagogy Lab, Fredericksburg, VA, Summer 2018).